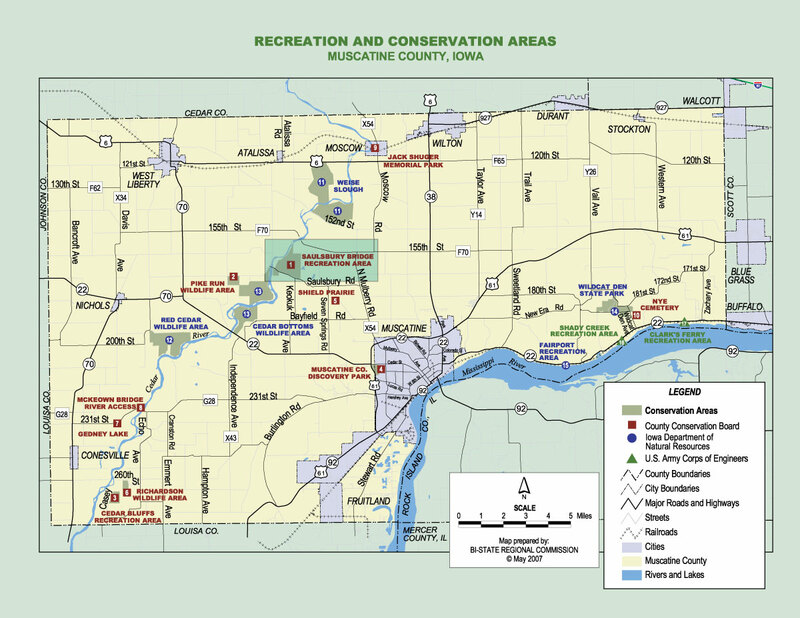 This 675-acre multi-use park is adjacent to the Cedar River in the middle of Muscatine County. The mix of flood plain forest, open fields, creeks, and wetlands provides a variety of outdoor recreational opportunities. This park is named for the old Saulsbury Bridge which used to cross the Cedar River at this location. Closed to vehicle traffic in 1965, all but two spans burned in 1977. The last two spans are open to foot traffic and offer scenic views of, and fishing access to, the Cedar River. Disclaimer: This map does not show the correct boundaries for the Saulsbury Bridge Recreation area. See the Park Map for the correct boundaries.